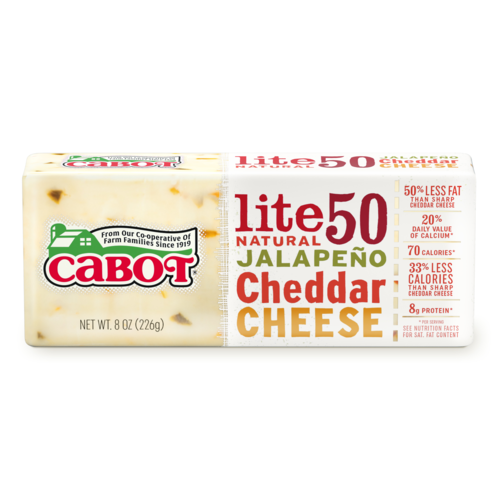 The ultimate balance of spice and creamy. 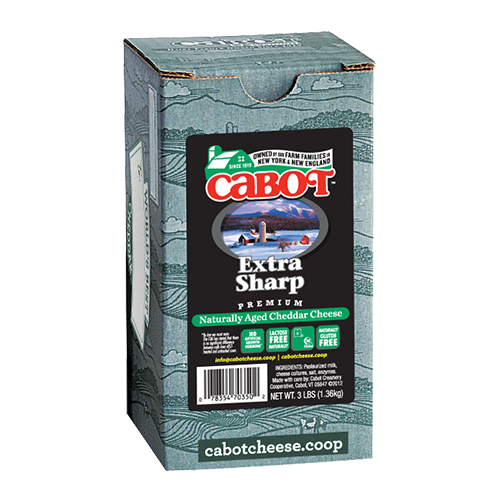 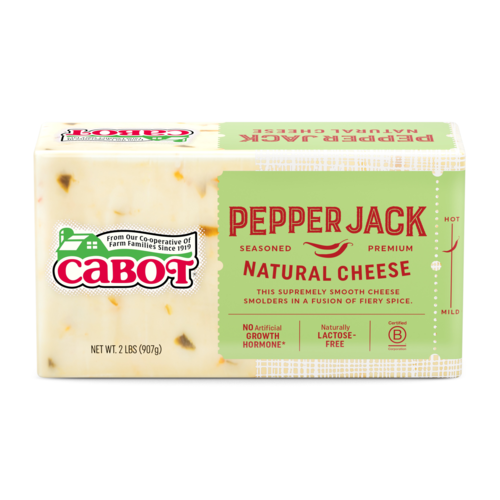 If you thought Monterey Jack couldn't be improved upon, wait until you meet our Lactose-Free Pepper Jack. 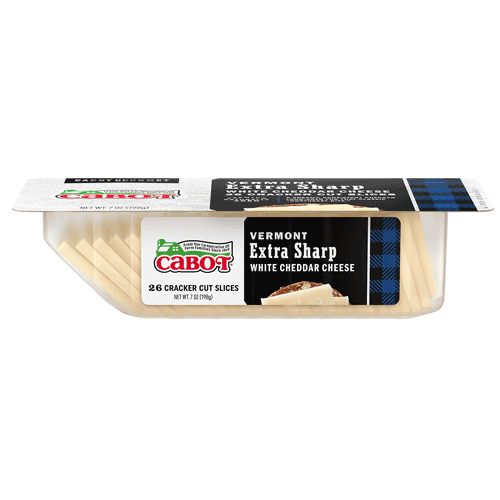 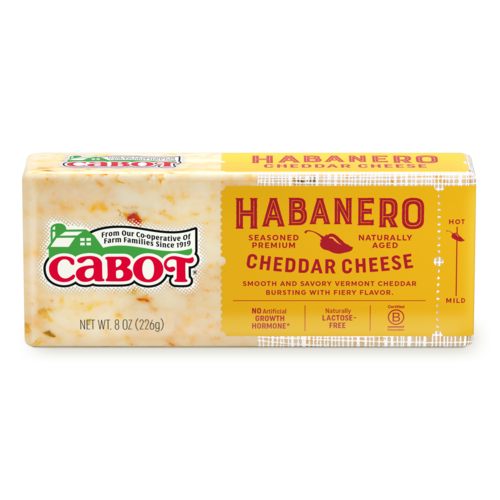 Available in family-friendly 8-ounce Dairy Bars, this cheese is quick and delicious melted over tortilla chips, for the easiest, and many would say, tastiest nachos in town. 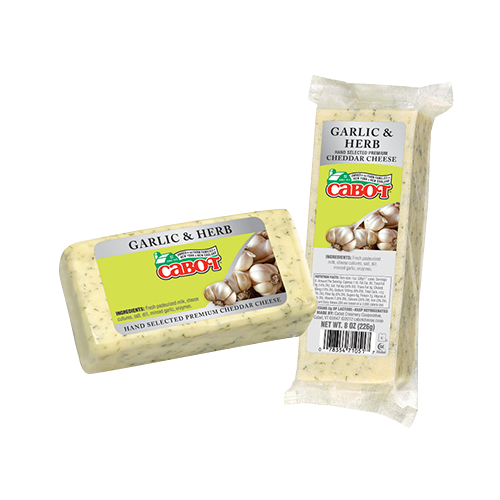 It's moderately hot, supremely smooth, and utterly irresistible. 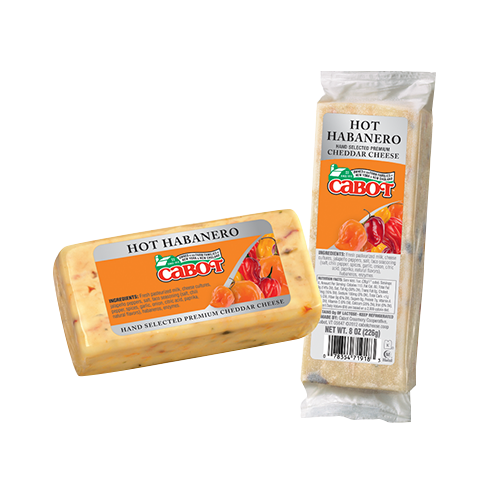 Ingredients: Pasteurized milk, cheese cultures, jalapeno peppers, salt, enzymes. 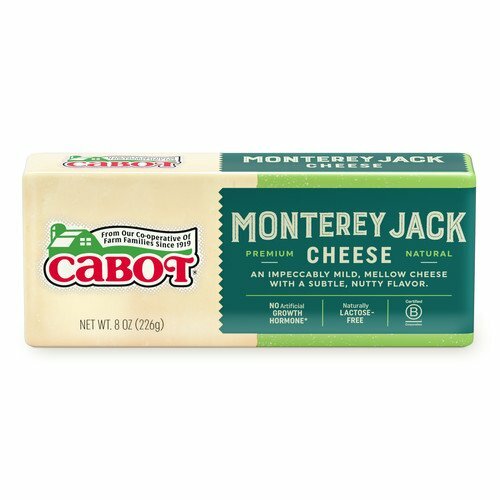 Some folks find their 8oz bars of our Lactose-Free Pepper Jack disappearing as quickly as they put them in the fridge.That's why we started making this handy 2lb brick. 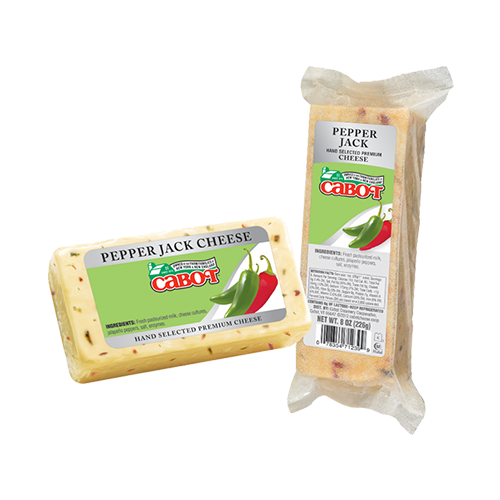 With the same smooth, buttery jack cheese and pop of pepper, your grilled cheeses, snack time, and refrigerator raiders will never be happier. 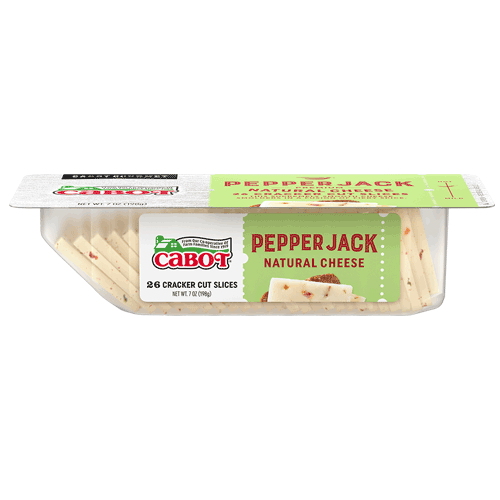 If you've gotta have more Lactose-Free Pepper Jack, grab a Deli Bar of this must-have variety. 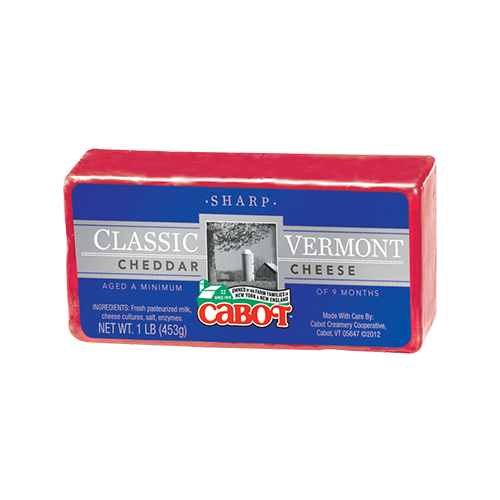 The pop of pepper is expertly blended with the smooth, buttery taste of Monterey Jack for an explosion of flavor that will have your taste buds singing for another bite! 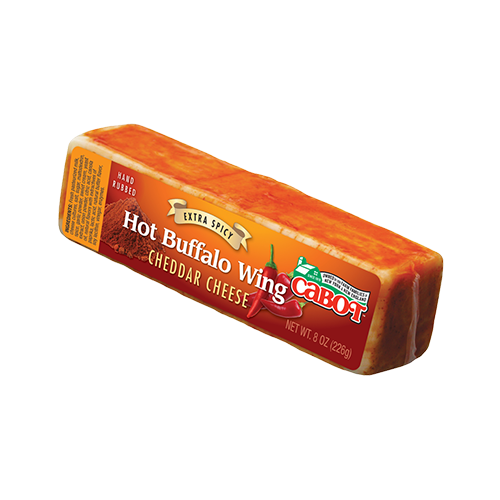 You can cube this tasty treat and enjoy it as solo morsels, or grill it up for gooey grilled cheese with a unique kick.